Do you tend to resonate with Eminem’s lyrics in “Lose Yourself” before big, important meetings? It’s not uncommon to feel overwhelmed by nerves if you’re about to go into what feels like a make-or-break kind of meeting or presentation that your entire career depends on. It can feel even worse if you generally freeze in public speaking situations and your boss is watching your every move. If you’re not one of those seemingly naturally confident professionals who can charm anyone’s socks off in any environment, you need to work on calming your nerves. The more you progress in your career, the more opportunities you’ll have to represent your company in an important presentation or meet with the big guys for to win big contracts. 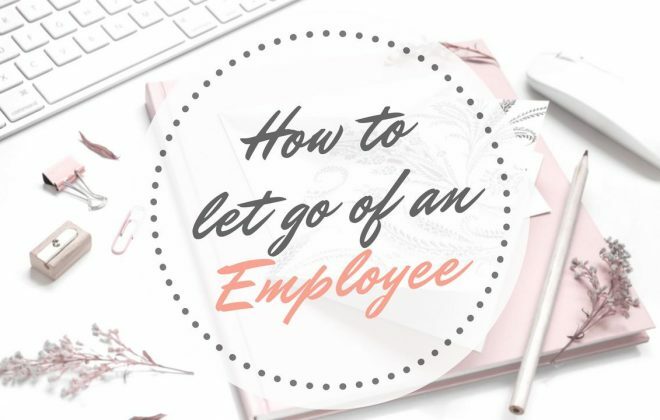 If you tend to let your nerves take over you in these situations, you increase the chances of making avoidable mistakes which can get in the way of your career development. Plus, chances are, those other confident and charming professionals probably have or still do feel nervous inside, too but they’ve just worked out a way to keep cool, level-headed and confident before a big meeting. Below are some of the tips and tricks you can use to keep cool before nerve-wrecking meetings. Remember, our psychological processes can be changed with practice, meaning you won’t always feel so nervous if you practice hard enough! Being prepared is one of the surest ways of calming your nerves. Learn your material over and over again and rehearse. Even if it’s an hour-long meeting and you’re not even required to present, knowing your material is going to put your mind at ease. If you’re not sure if you’re actually well-versed in your part, take yourself back to high school and actually memorise every word you might like to say in a particular situation. Knowing your material isn’t enough to make you feel totally prepared. There are other components in a meeting or a presentation that are not yourself and your speech – namely, the other people that are in the meeting. Remember that you’re presenting TO someone, which means that that someone is an important factor of the success of the meeting. Ask around and learn a bit about them. Are they known to be humorous or stiff? Do they ask tough questions? Are they friendly? Once you know what to expect, you’re much more likely to feel calm and ready to go. And if you need a little more practice, ask your colleagues to do some role play exercises with you. There is nothing that will make you feel more nervous and flustered than arriving late to a meeting and being watched by other attendees as you make your disruptive entrance. Especially if you’re hosting the meeting, arrive early and set up all your equipment like presentation material and make sure the sound and screen are working. Or make sure that you’ve got everything that you need like your laptop, notebook, pen and even something to squeeze to calm your nerves. You know yourself better than anyone else, so make sure that you’re prepared with everything you need. And please, don’t be that person that asks for a pen in a meeting that they should have been prepared for. Another advantage of being early to a meeting is that you get the chance to talk to other attendees. If the meeting is held at your company, then you can also show your hospitality by personally offering tea or coffee. Depending on how much time you have, you can make some small talk like how they found getting here and parking. But if you have a few minutes to kill, try to stay away from dragging that on for too long. This is your chance to charm them and win them over. Gauge their personality and make some appropriate jokes or delve into intellectual conversations. Once you’ve got them on your side, you’ll feel much more relaxed as you feel like you already know the audience. When feeling nervous, it’s easy to project your nervous energy to those around you. There is no reason to completely hide your nervousness, as it can actually be flattering for the guests or attendees. However, displaying highly stiff and rigid body movements may be a put-off and also make others feel uncomfortable. Instead, try and relax your body, which will also help to relax your mind. Relax your shoulders and stop frowning. Stop clenching your toes. Don’t stiffen up, and make your arms spread out as naturally as possible. Most importantly, smile. Smiling can actually alleviate anxiety in yourself as well as help you come across as being enthusiastic and confident. Nerves tend to make people talk faster than their normal talking speed. To compensate, try and purposely talk a little bit slower in the beginning. Take pauses and gauge the interest from the attendees. If you ask questions, don’t forget to wait for the answers. While it might feel unnatural to talk slower when you can hear yourself talking fast, remember that you need to time your presentation or the meeting. After a few minutes, you’re most likely going to feel more comfortable and won’t have to pay attention to your talking speed. Before the meeting, or during the meeting if you’re able to, try and visualise yourself as the successful person that you want to become. Are you delivering a TED talk? Are you a high-powered and sharp professional who is confident in any room? The more you imagine yourself in the way you wish to be, the more you can become like the image you created. Remember, this meeting and presentation is only one small part of your career, and is actually a practice opportunity for you. You’re going towards even bigger and better things in your career. Take this opportunity to practice for your future self!